Super fun circular track of purpose built single track in Heidelberg. This fun little 3 km circular loop is just outside of town on the road to Grootvadersbosch Nature Reserve. Follow the R322 to Barrydale out of town and turn right before crossing the railway. The track circles the old reservoir which used to provide the town with all their water needs. 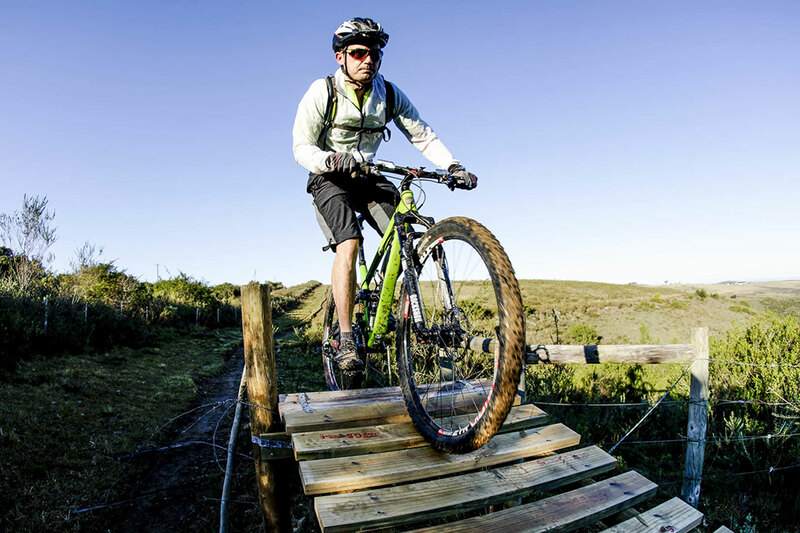 It is purpose built single track with berms, fence bridges and more. Perfect for fun and training!